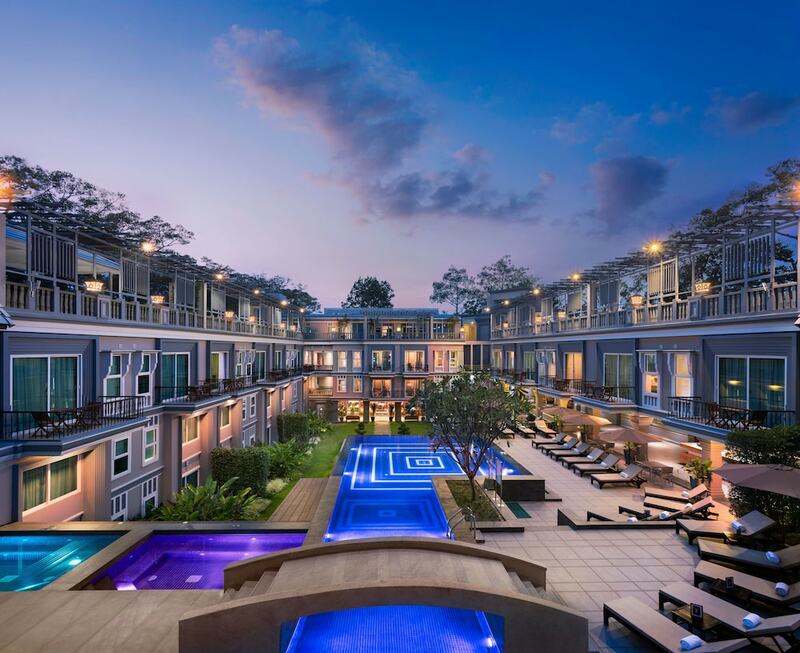 The best luxury hotels in Siem Reap boast elegantly-furnished suites, diverse dining options, charming service and a collection of quality facilities for an outstanding holiday experience. Cambodia’s most prominent tourist hub, Siem Reap attracts millions of visitors thanks to the iconic Angkor Wat, Bayon and Ta Prohm Temples, as well as the Angkor Archaeological Park, which houses hundreds of temples dating back to between the 9th and 14th century. Siem Reap is a relatively compact city, where you can easily visit numerous museums, colonial structures, street markets, restaurants, and trendy shops on foot or tuk-tuk. Catering to almost every budget level and preference, dining options here range from European fine-dining to authentic Khmer-Asian fusion cuisine. Read on for our list of the most popular Siem Reap 5-star hotels.